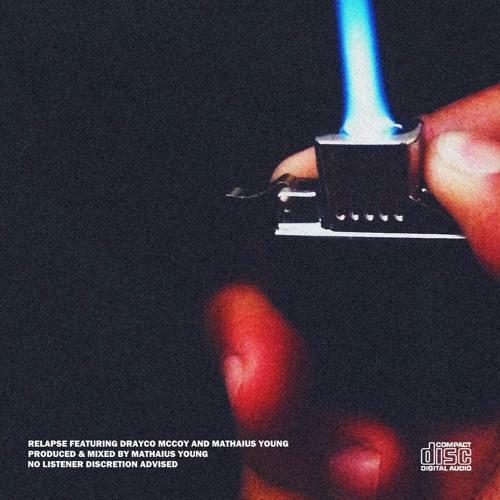 Listen to a new collabo from two up & comers, Drayco McCoy and Mathaius Young. Two of Indianapolis' most consistent rappers on their grind team up today for a massive collaboration. Mathaius Young was on the site not too long ago, with the release of his self-produced mixtape Pilot. If you slept on that the first time around, now's the time to wake up. This isn't the first time Drayco and Mathaius have collaborated. The two made their HNHH debut together back in September when "Go" dropped (which later made it onto Mathaius' Pilot EP). Much like "Go," "Relapse" is a head-banger with an unparalleled energy coming from both the production and the rappers themselves. Mathaius litters the beat with an assortment of hard-hitting drums, from the thunderous bassline to the snare drums, to the spring-like noise that kicks off the record. It's a jumble, but an organized jumble.